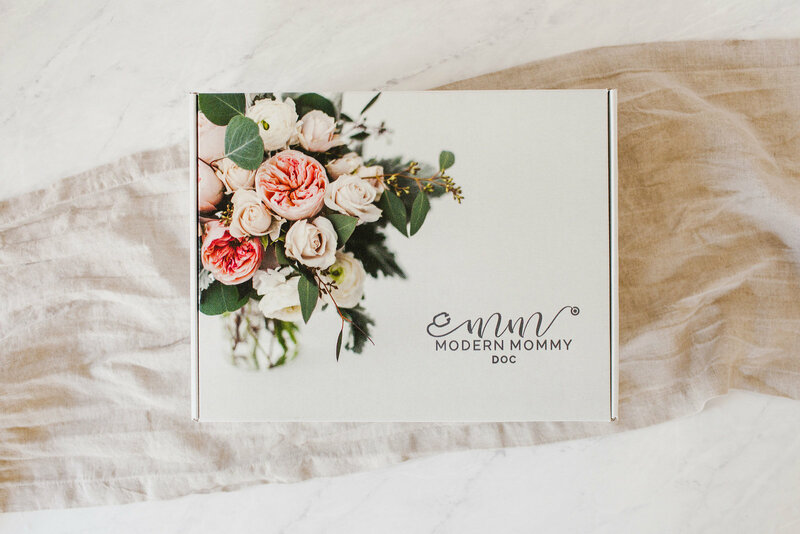 Modern Mommy Gift Boxes are designed to give new mamas information, inspiration, and a little love as they start their motherhood journeys. We pair the valuable guidance they need with the cutest, curated babywear and toys we’ve found. We know new parents don’t need unnecessary gear—they need credible advice and want timeless pieces to commemorate their babies’ births. Clothing and accessory products are specific to new babies, with clothing sized newborn or zero to three months. Toys and developmental accessory items span the first twelve months. 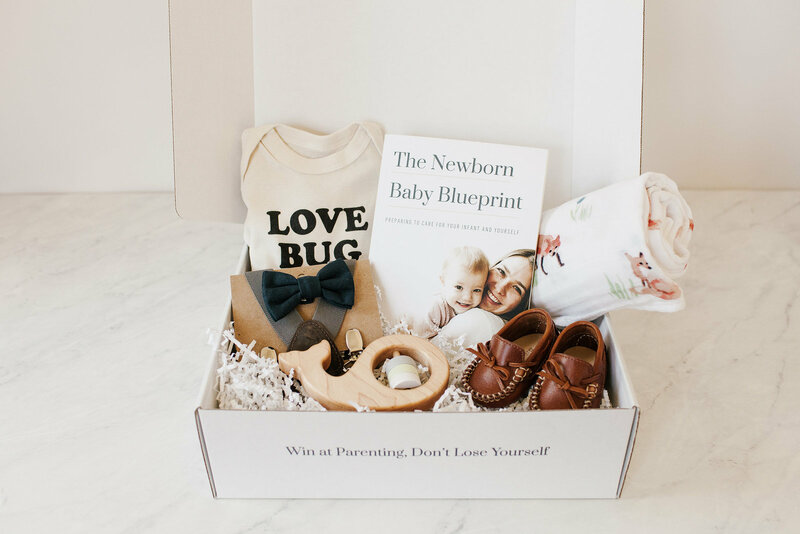 In our pre-packaged boxes, we include a variety of different products, including baby toys, baby accessories, development products and self-care finds, plus our signature book, The Newborn Baby Blueprint. Or, choose to build your own box filled with your favorite selections. I cannot believe how adorable this box is! I can’t wait to give it to my sister for her baby shower! —Lisa M.
Modern Mommy Doc clearly chose only the cutest for these gift boxes. I can’t wait to try the Mary Janes on my little girl! —Katie B. Baby suspenders and a bow tie? Stop. 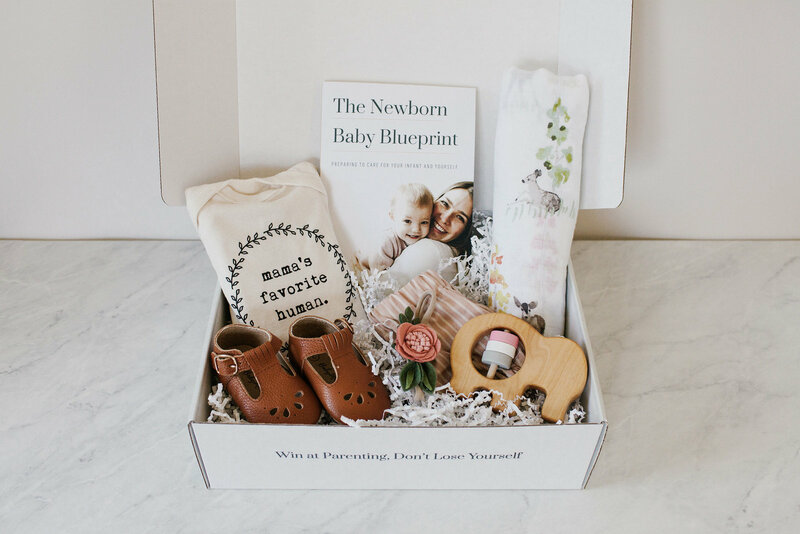 This box is like no other baby gift box I’ve seen on the market. —Ashley R.